SNOOKER specialist George Weyham (@GWSnookerTips) previews the outright market ahead of the 2019 German Masters, picking out his favourite outright fancies. The first ranking tournament of 2019 leads us to Berlin and the fabulous Tempodrom. 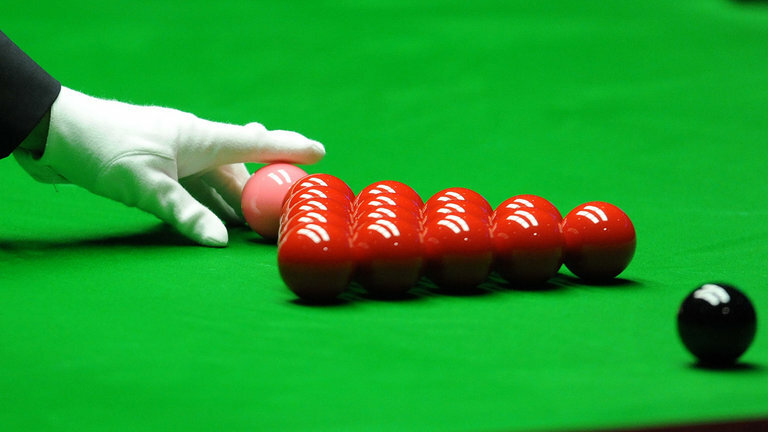 With a capacity of 3,800, it’s one of the biggest arenas on the snooker calendar. Notable performers down the years there include Olly Murs, Snow Patrol and Bastille. They will have to make do with Judd Trump, Mark Williams and John Higgins this week! The atmosphere has been regularly classed as ‘electric’ with ‘buzzing crowds’ from the players and they also call it one of the best venues they have on the calendar behind the Crucible Theatre. Mark Williams won the first German Masters at the Tempodrom in 2011 and last year’s with a 9-1 slaughtering of Graeme Dott in the final. It’s an unusual event results-wise for the world champion, as in the middle of his two wins here, he’s encountered four 1st Round losses in six years. His opponent in the Last 32 this week is Zhou Yuelong. Prior to Christmas, I selected Zhou as one of my three players to follow until the end of the season. I make him a real live outsider this week in Berlin, and at 125/1 with Ladbrokes (boost to 160/1!) he’s hard to ignore in the outrights. Zhou played Williams in October at the English Open and defeated him 4-3. The only 40 yea-old or older to beat Zhou this season (in nine matches) is Ronnie O’Sullivan, twice. He’s also very impressive in deciders this term – seven wins from nine. This all just proves, he plays way above 21 years already, can hold himself together under pressure, and is a very accomplished, and mature talent. Williams has faced five Chinese players this season, beaten the two weaker ones, but lost to the other three better players (including Zhou). I don’t believe Williams is playing anything like he was last season, so I think he’s there for the taking. Only at the China Championship in September has a Chinese player made the last four of a ranking event this season. Zhou, the world rank 31, made the semi-final in last season’s European Masters so it won’t be unknown territory for him. I rate him the best young player in China – an old head on young shoulders. I firmly believe also he’s a better player now than in 2017 and it’s only a matter of time until this fantastic prospect goes deep again in an event. Why not in Berlin – an event which has conjured up big price winners recently like Martin Gould in 2016 at 66/1 and Anthony Hamilton in 2017 at 200/1. I think 125/1 on Zhou, is outrageous this week (don’t forget 160/1 with a daily Ladbrokes boost). He should be no bigger than 80/1 to win the five matches for glory. I also like Zhou’s prospects of winning the Quarter (making the semi-final) at 14/1 (15/1 with a Ladbrokes boost). It really opens up for him, if he can dethrone the reigning champion. The Masters champion, Judd Trump, will obviously have his takers this week (5/1 Paddy Power) after his sublime showing at the Ally Pally. He’s never won this event but has made at least the quarter-final here five times in the last seven years. It will be interesting to see if he carries his form to the Tempodrom. Another player who has a good record in this tournament without winning it, is Wales’ Ryan Day. ‘Dynamite’ Day has made the quarter-final here in each of the last five years. In just one, he made the semi-final (2014) so it’s certainly a venue he’s fond of. Day has made six ranking finals in his career and four came overseas (in Malta, China, Latvia and Gibraltar). The latter two, were the first and second ranking wins to his name, last season. He won the Romanian Masters (non-ranking invitational) for good measure as well – another overseas final. It was always going to be a near impossible task for Day to replicate last season’s three titles. However, he’s made four ranking quarter-finals this term and has never been so consistent in his career. He played nicely at the Masters defeating John Higgins 6-5, before losing to O’Sullivan in the last-eight 6-3. That score rather flattered O’Sullivan, as Day should of gone 4-4. What impresses me a lot with Day, especially this season, is generally he has a killer touch when victory is close in tight matches. In 14 matches he’s won by either two frames or in deciders, he’s notched a final frame winning break (60+) in 11, five were centuries. It just proves the belief he has in his ability since his three titles last season. Day is in arguably the weakest, yet most competitive quarter of the draw this week. It contains an out-of-form Higgins, Jack Lisowski – who’s looking to hit back after a thumping at the Masters – and Ding Junhui, who delivered the thumping to Jack before playing excellently in defeat to O’Sullivan. Day is 33/1 for the title with SkyBet. Considering Lisowski is half that price (be it he has an easier opener than Day), and he’s never won an event, I think it’s a little disrespectful to the three-time title holder.